Little Russian Collegium (Malorosiiska kolehiia; Russian: Malorossiiskaia kollegiia). Two distinct administrative institutions set up in Ukraine in the 18th century by the imperial Russian government. 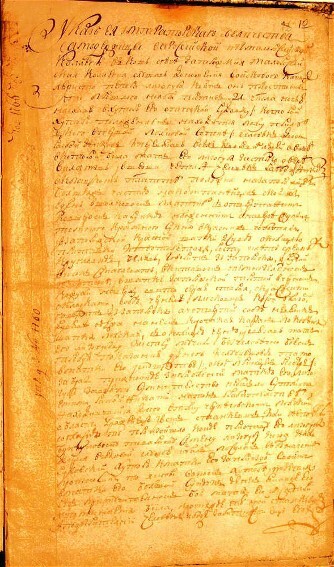 The first collegium was established by Peter I on 27 May 1722 in Hlukhiv. Its purpose was to oversee and monitor the activities of the hetman and his officers as well as the regimental (see Regimental system) and company Cossack starshyna in Ukraine. The collegium consisted of six staff officers from Russian regiments and garrisons stationed in Ukraine and a procurator, all of whom were appointed by the tsar and were to serve only one year. Its chairman was Brigadier Stepan Veliaminov. At the same time responsibility for Ukrainian affairs in Saint Petersburg was transferred from the Collegium of Foreign Affairs to the Senate (ie, from external to internal affairs). Taking advantage of the interregnum after Hetman Ivan Skoropadsky's death, when only an acting hetman, Pavlo Polubotok, was appointed, the collegium usurped the powers of the hetman and acted as the highest administrative, judicial, and financial body in Ukraine. It reviewed the instructions of the hetman's office, served as an appeals court, and made fiscal decisions (increasing taxes fivefold). Its interference in the affairs of the hetman administration and arbitrary behavior aroused the indignation of the starshyna and sparked many protests from the hetman's office. Peter II promised to abolish the collegium and finally did so on 29 September 1727. The second collegium was established by a decree of Catherine II, issued on 10 November 1764. With the abolition of the Hetman state it was to act as the highest governing body in Ukraine. Its task was to eradicate the last vestiges of Ukraine's autonomy, destroy the Cossack starshyna, and increase the economic exploitation of Ukraine. It consisted of eight permanent members appointed by the central government—four Ukrainians chosen from the general starshyna and four Russians. The president of the collegium was Count Petr Rumiantsev, who was also the governor-general of Ukraine and the commander in chief of all troops on its territory. His jurisdiction extended to the Zaporizhia. In 1782 the administrative system of Russian-ruled Ukraine began to be reorganized. 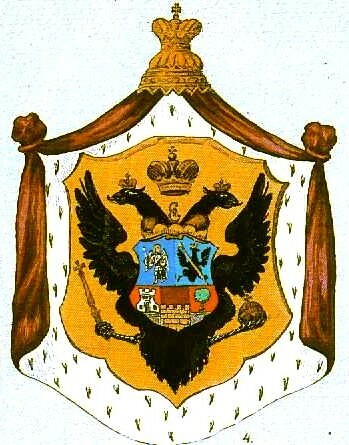 Three vicegerencies were set up, and the second Little Russian Collegium was finally abolished on 20 August 1786.